It’s that time again! The last Development Update before the launch of our much-anticipated devnet. An important upgrade to the cryptography module, testing-ready wiring module, as well as the near-complete state of the core consensus module alongside a Golang port of the Guru reputation module signal that this month has been the busiest we’ve ever had at Dusk. 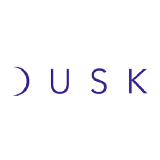 ‘We are extremely excited to start creating awareness around Dusk Network in our University Alliance. There is a lot of talent here and I want to make sure it ends up working for the right projects.’ - Tyler Wellener, Partner at BlockVenture Coalition.